CASABLANCA, Morocco (AP) — Morocco’s bishops said Tuesday they hope Pope Francis’ visit to their country will help shed light on the situation of migrants in the country that is a key transit point for those trying to reach Europe. The Catholic church in Morocco mainly works with people from Sub-Saharan Africa, who make up 50 to 70 percent of churchgoers. Many are migrants illegally staying in the majority Muslim country living in poor conditions. “We have had to prioritize to whom the aid goes first. Our church suffers from lack of funds. We can give some migrants food, plastic, covers, yet we can’t give them the respect they deserve. They are people not animals.” said Santiago Agrelo Martinez, Archbishop of Tangier. He said he hopes that the pope’s visit on March 30-31 will help improve the situation. The city he oversees is particularly known for being a focal point for departure into the Mediterranean Sea. A large crackdown on migrants was led by Moroccan authorities there last summer to limit numbers of crossings. 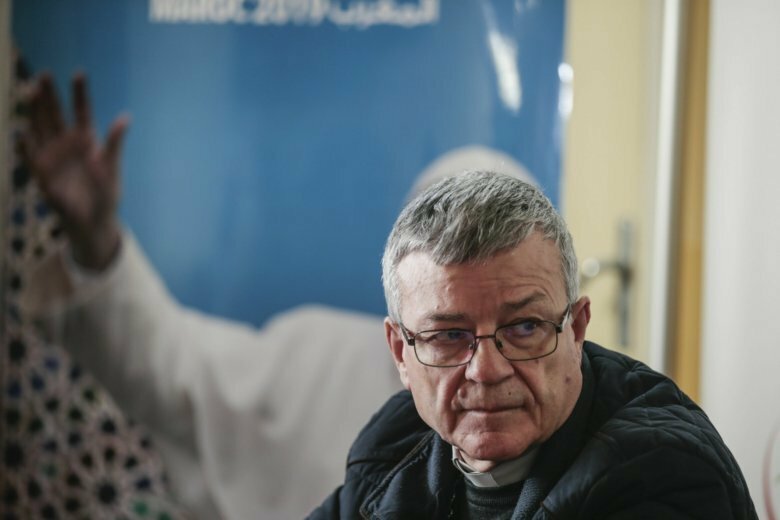 “Pope Francis loves to go to frontiers, to places of transit”, said Cristobal Lopez Romero, archbishop of Rabat, at a news conference in Casablanca Tuesday. Morocco’s officials have repeatedly said the country cannot be the region’s immigration police, putting pressure on Europe to provide funds to manage the crisis. Yet crackdowns on migrants and deportations are rampant, pushing international rights organizations like Amnesty International and Human Rights Watch to denounce Morocco’s security measures. Nearly 47,500 migrants have arrived in Spain by sea since the start of the year, while 564 have died or gone missing while trying to reach Europe, according to the International Organization of Migration.